Ms. Donis joined the firm in 2018 following a successful criminal clerkship with the Honorable M. Christine Allen-Jackson, of the New Jersey Superior Court in Gloucester County. During her clerkship, Ms. Donis was responsible for conducting research and subsequently making recommendations to the Judge on a variety of pre-trial, trial and post-trial issues. Additionally, while at the University of Central Florida, Ms. Donis successfully published her undergraduate thesis: Animal Cruelty: The Nexus Between Admonishable Violence and Sanctionable Criminal Acts. Ms. Donis is a graduate from Vermont Law School where she served as an Articles Editor of the Vermont Journal of Environmental Law. While at Vermont Law, Ms. Donis was co-chair of the Latin Law Students Association. As co-chair, she became instrumental in the development of the practice of alternative spring breaks. Alternative spring breaks allowed students to participate in pro bono legal work during their spring break vacation while in law school. Ms. Donis is a trained mediator. During her clerkship, Ms. Donis successfully mediated over 20 civil matters; with over a ninety percent settlement success rate. 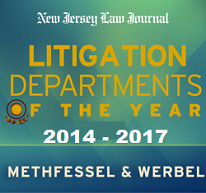 Ms. Donis is a member of the general liability team at Methfessel & Werbel and practices under the direction of William S. Bloom.